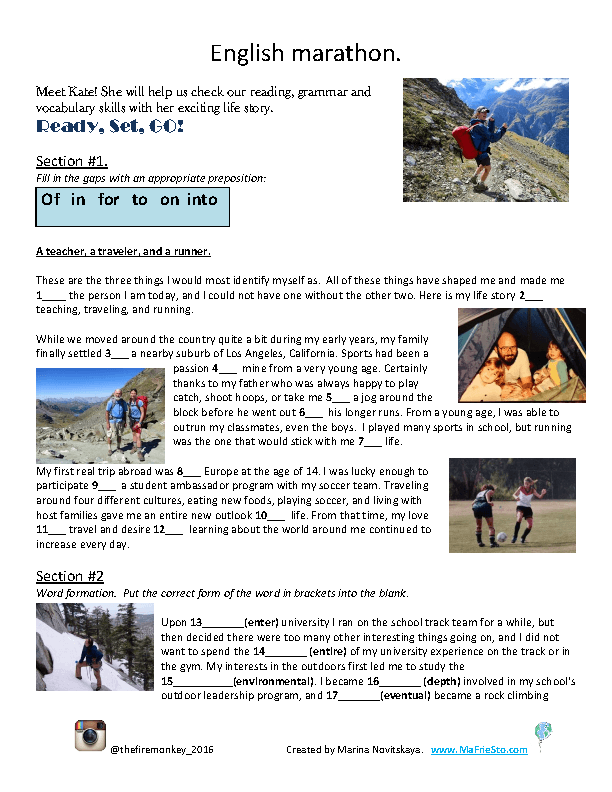 “English Marathon” is an inspiring worksheet based on Kate’s life story. She is an English teacher, a traveler, and a runner. 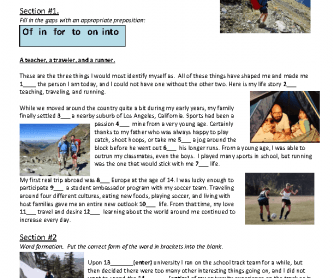 The worksheet can be used as a revision quiz or reading practice. There are exercises on prepositions, word formation and vocabulary.